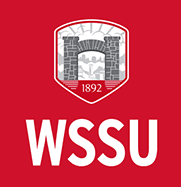 The faculty and staff of Winston-Salem State University provide a rich resource of expertise on a wide range of topics. From personnel in admissions to the wellness center, administrative assistants to academic success counselors, this talented pool of can-doers are there to support students so that they can "Enter to learn, Depart to Serve". We know the place inside and out, and we are happy to be of assistance. When searching please search using first, last or partial name. Please ensure the search term is more than one character and that either name or department is selected. An error occurred while performing a directory search. Please try again in a few minutes.